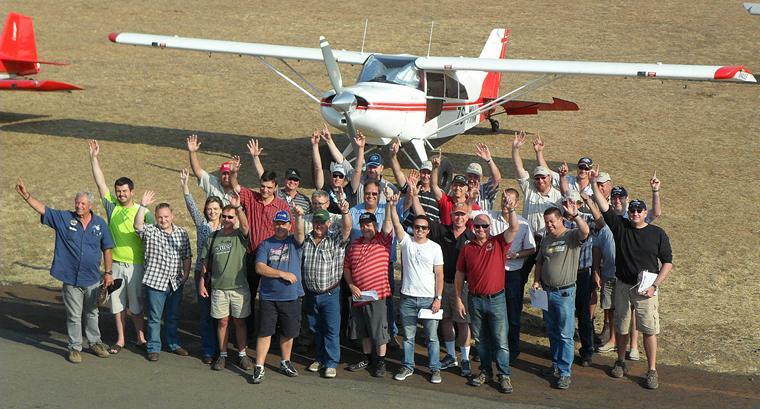 It was an exciting day at the Bethlehem Airfield on Saturday 29 August 2015 when the Bethlehem Aero Club hosted another fun Navigation Rally in conjunction with The South African Power Flying Association (SAPFA). 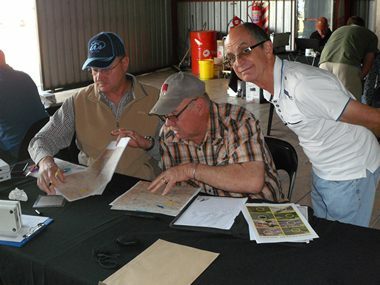 The rally was organised by Martin Meyer and Rob Jonkers who did a sterling job preparing the flight maps, photographs and everything else needed. Frank Eckard, who had organized more rallies than he cares to remember, was present in an advisory position. 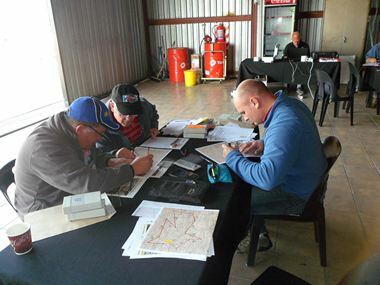 14 teams entered the event - 3 from Harrismith, 1 from Springs, 1 from Reitz, 1 from Brits and 8 Bethlehem residents. Thys van der Merwe did not have a navigator and a local aviation enthusiast (Martin Nagel) was asked to join him as navigator - what an experience for somebody that came as an spectator to end up as an navigator! 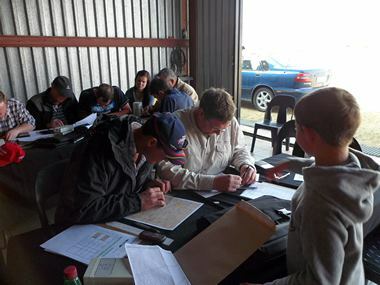 Lots of concentration went into the preparing of the important flight map headings, minute markers and of course the time expected over the 10 turning points. The planning was a huge effort. The route starting point was just south of Bethlehem and from there south-south east with the fifth turning point over Kestell. From there the route took a northerly direction, zigzagged west, north-east, north and the last leg south back to the finish point at Bethlehem airfield. 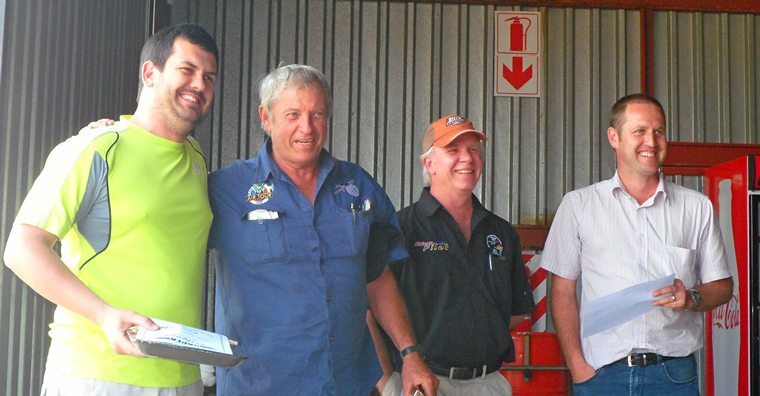 The team of Thys van der Merwe and Martin Nagel (ZU-AFP) in their C172 delivered a world class flight by completing the course without incurring a single penalty point. They however were penalized with 6 points on the spot landing. 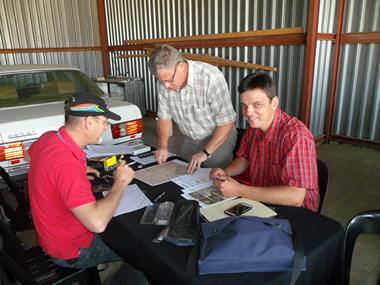 Andrew Flitton and Barry Neethling (ZU-FCI) were right on their heels in their Savannah. 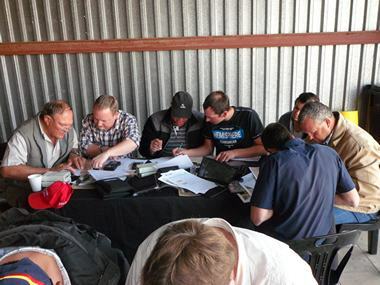 The team of Niel Claasens and Jaco Breytenbach (ZS-DTH) came in third in their PA28-235. 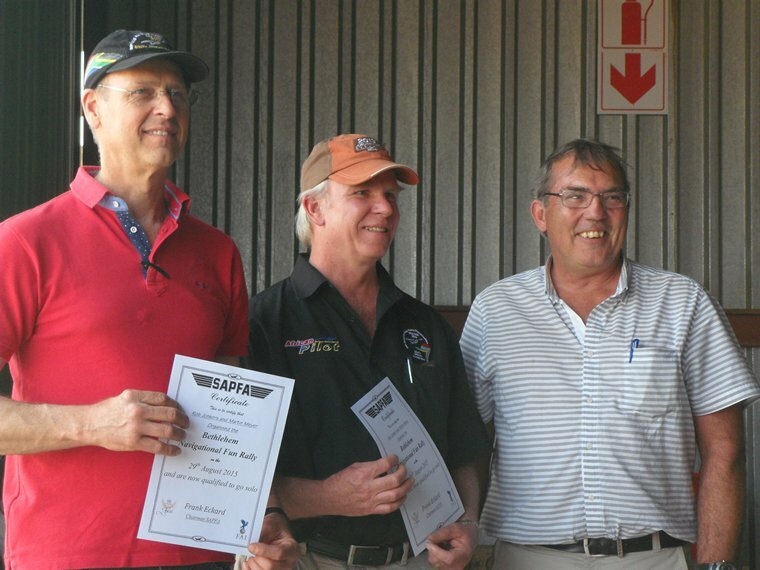 The team of Gerhard Meyer and Ruan Smith (ZU-FKB) in their Zenith 801 won the spot landing by missing the line with 1 meter. 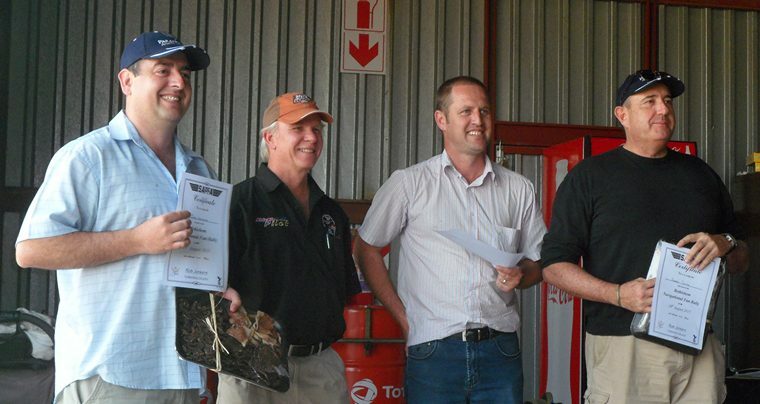 Frank Eckard presented Rob and Martin with certificates of competence to enable them to arrange Nav rallies in future. 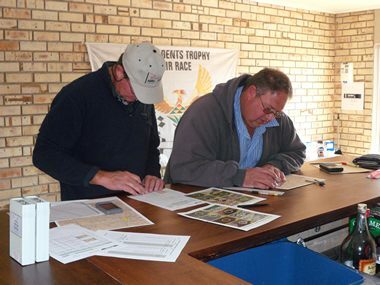 In typical Eastern Free State hospitality everybody was treated in the clubhouse to juicy hamburgers and chips prepared by the local pilots wife's, after which Rob gave a short video presentation on how Nav Rallies should be approached.